By Vicky Cann – Global Justice: Billions of euros are lost each year due to corporate tax avoidance, depriving public budgets of much-needed resources to fund education, healthcare, social services, and much more. A study for the European Parliament has estimated that corporate tax avoidance costs the EU between €50 billion and €70 billion a year – and could even be as high as €160-€190 billion. The tax avoidance industry consists of all intermediaries that facilitate corporate tax avoidance, including tax advisors like accountancy and auditing firms, tax lawyers and law firms, and financial institutions such as banks. The Big Four accountancy firms – Deloitte, EY, KPMG, and PricewaterhouseCoopers (PWC) – are the goliaths of corporate tax planning, designing and selling tax avoidance schemes to multinational corporations. But although they are key players in the tax avoidance industry, many policy-makers see the Big Four as legitimate and neutral advisers when it comes to preventing tax avoidance. Public procurement contracts: The Big Four receive tens of millions of euros from the European Commission in public procurement contracts each year, for studies and impact assessments that are then used to underpin policy decisions, including in the area of tax policy. The Commission also hires tax advisers to give input on the very tax measures they lobby against! Lobby groups: Members of the Big Four have influential roles in various lobby groups, including the European Business Initiative on Taxation and the European Contact Group, which try to influence EU policy responses to tax avoidance. Advisory groups: The Commission’s advisory groups, including the Joint Transfer Pricing Forum and the Platform for Tax Good Governance, have a history of inviting actors from the tax avoidance industry to give advice on how to stop tax avoidance. Revolving door: The seamless moves of employees between the EU institutions and the Big Four have established a shared culture and fostered joint assumptions on tax-related policy on both sides, and have normalised the revolving door between the two, which operates at all levels of these institutions, including at the very top. Just one example of this influence in action is the intensive lobbying by the Big Four and big business interests against public country-by-country reporting. 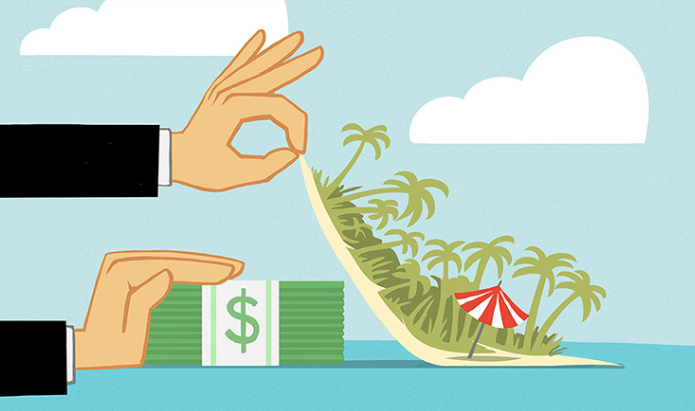 This EU proposal dubbed “public CBCR” would require corporations to publicly report their profits in every country in which they operate, to avoid their use of loopholes to shift profits to tax havens. Ahead of the Commission’s proposal, the Big Four lobbied fiercely to prevent the mandatory publication of this information, with EY citing “commercially sensitive information” and Deloitte pushing a ‘voluntary’ approach. Many big business lobbies repeated similar messages. However, the public outrage surrounding the Panama Papers in April 2016 put tax transparency high on political agendas across the world, including in the EU, where this meant the final CBCR proposal from the Commission was stronger than expected. Industry efforts then focused on the European Parliament which, following a barrage of corporate lobbying, included a get-out clause in the draft that allows corporations to keep “commercially sensitive” data secret. Some of the most vehement efforts to undermine public reporting came from members of the Commission’s advisory group, the Platform for Tax Good Governance: the American Chamber of Commerce to the EU (AmCham EU), BusinessEurope, German business lobby BDI, and its French counterpart MEDEF. AmCham EU, which argued that public reporting would harm companies’ competitiveness and Europe’s “attractiveness” for investment, has PWC and Accountancy Europe driving its tax policy positions. The latter was supportive of public reporting, but only if it minimised “the risk of disclosing economically sensitive information”. Arguably, the get-out clause established by members of the European Parliament achieved this aim. Now the public CBCR file is under discussion by the 28 member states in the EU Council, and there are concerns that it may be further weakened or even indefinitely delayed. While some states such as France, Belgium, and the Netherlands have expressed support for the proposal, others including Austria, Cyprus, and Luxembourg are opposed, with key countries like Germany yet to express a view. Given all the evidence of the role that accountancy firms like Deloitte, EY, KPMG, and PWC play as advisers that facilitate and profit from corporate tax avoidance, it is remarkable that they continue to be treated as objective and legitimate partners in policy-making circles. It is time to kick the Big Four and other players in the tax avoidance industry out of decision-making processes for EU anti-tax avoidance policy. This must start with recognising the inherent conflict of interest that lies in allowing tax intermediaries to advise policy-makers on how to tackle tax avoidance. Only then can an effective framework emerge which ensures public-interest tax policy-making is protected from vested interests.